Enhance the beauty and elegance of your home by trusting our company to design and install custom cut mirrors in San Diego, CA. We make mirrors of any size and install them anywhere. If you live in a home that needs more light and more space, wall mirrors are effective at making your place look brighter and bigger. Whether you need custom mirrors in your bathroom, living room, or at your place of business, the glass specialists at Custom Glass Specialties have the expertise to install wall mirrors anywhere you need one. Add ambiance to your interior by transforming your living areas with custom mirrors. Your home is unique and so are you. So, why are you hanging ordinary mirrors on the walls? 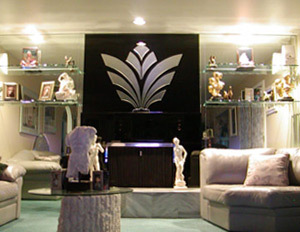 Get creative and showcase your personality by depending on us for custom mirrors. In addition to adding light and space, a mirror accents colors and emphasizes your home decor. Simply select the size, shape, and style, and we'll design and install it for you. We offer realistic and creative solutions when you need wall mirrors to fit in the space you have. It takes more than a few hooks to accurately install a mirror. If you don't do it right, it may come crashing down. Don't fall to pieces if you can't hang a custom mirror. Instead, allow our team to provide mirror installation. We have been installing custom mirrors of all sizes for more than 26 years. 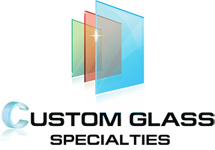 Allow our glass specialists to install your mirror for you. Contact our friendly and knowledgeable staff if you need a custom cut mirror. We proudly serve residential and commercial customers in San Diego, Chula Vista, Carlsbad, Rancho Bernardo, and Mira Mesa, as well as the surrounding areas.